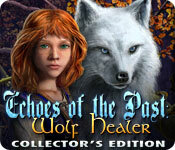 Echoes of the Past: Wolf Healer Collector's Edition is rated 3.5 out of 5 by 50. Rated 5 out of 5 by dfinkle from Loved this one! I have played two of the Echo's of the Past series, the first and now this last one and i have to say the first was miserable! I enjoy a good story line and prefer to have a quirky guide whenever possible. The first in this series just doesnt cut it; there is little to no story line and I found myself going from scene to scene in the game with little or no idea of why i was there and what i was doing or needed to find. Once found i had a hard time finding where i needed to go with an object to complete a task whereas in this Wolf Healers game you have a good story line, a guide that you relate to well and i can figure out what i'm doing and where i need to go once i have an object. As i play for relaxation and pleasure this is a plus; i was not going to even try this so badly did i dislike the first castle of stone or whatever it was but i am glad i did and i may just try another of these games. One last gripe - i find it misleading that they say this is the 6th in a series - if i see "series" i assume that it means its a continuing story line; developing the plot more with each game and i look for these this is not the case with Echo's of the past series, each seems to be a single story and while that is fine for the first i definetly want more of the Wolf Healers please! much more! based on this game alone i am willing to try some of the others but i will not be paying more than i have to to do so, no collectors editions for them! but i will try another to see if it is comparable to this last in the series - hope so! Rated 5 out of 5 by 5994fairy from So enjoyable! I've been a bit negative about some of the games I've tried recently, so I am really pleased to have found one I've absolutely loved (so far - as this review is based on completing the demo). You are a healer, one of a group who can morph into wolf form at the touch of a magic bracelet. On the day of the ceremony to welcome a young healer, Mira, into the group, your settlement is attacked, and Mira's father is taken. Your task is to accompany Mira on her quest to rescue her father. Not especially original, but the storyline hangs together well with the gameplay. Artwork was very pleasing - bright; beautifully realised. Music appropriate; voice-overs unobjectionable. The character of the young girl Mira might be a bit 'cute' for some but she didn't spoil my enjoyment. Puzzles are not especially challenging but pleasurable to do. There are variations on the HOGs to keep things fresh. Also the usual collectables one associates with a collectors edition. This game feels polished and stylish. Transitions between scenes is fast - no hanging around waiting to move from one area to another. The map function works well. 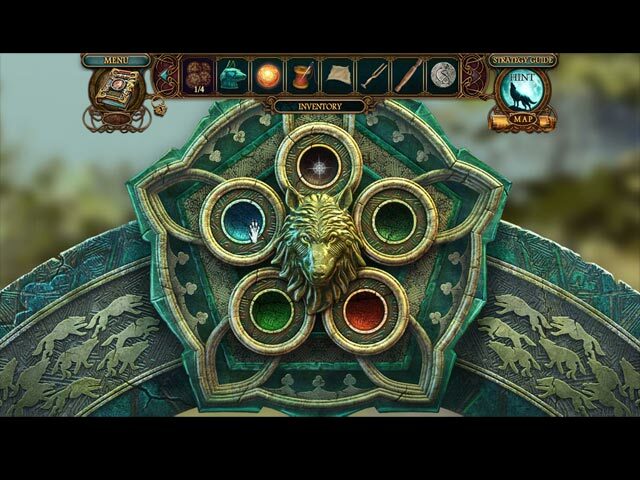 This game is a return to pure escapism in a fantasy world which has been brought to life with great skill. Rated 5 out of 5 by firehorsecos from Fabulous Game! I beta tested this game, and couldn't wait for the full game to come out. It certainly did not disappoint! I enjoyed everything about the game. It was incredibly fun. 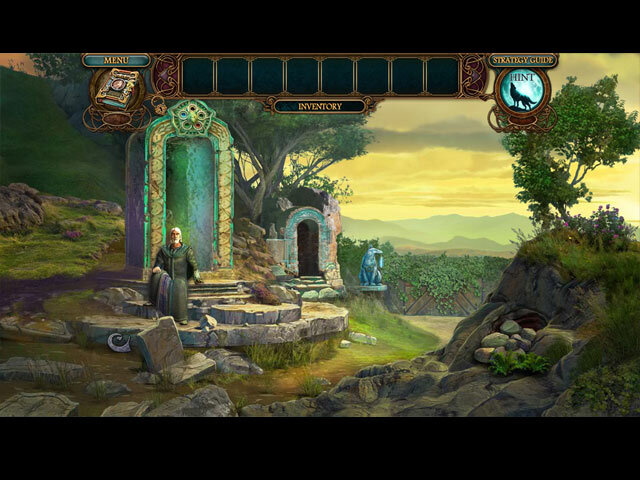 The graphics were crisp and clear, nowhere muddied or so shadowy you couldn't see what you were supposed to be doing - which is one of my greatest pet peeves in Hidden Object Games. The sound was good, what I could hear of it. Unfortunately one of my new kittens had chewed through my speaker wires so I couldn't hear the sound as I would have liked to be able to report on it. Sorry. The mini games were fun, but some could have been a bit more challenging. The storyline was very good. I greatly enjoyed this game. I hope that they continue this series for a long time. 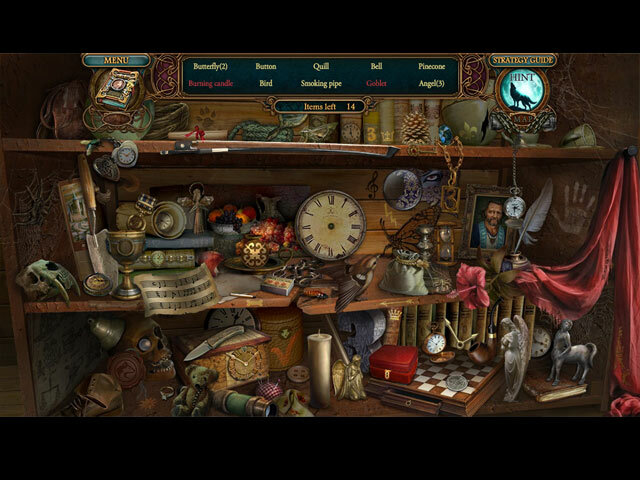 This is the kind of game that made me fall in love with Hidden Object Games. I can't wait for their next installment. Rated 5 out of 5 by LadyEM48 from Wolf Healers Survive? Wolf Healer picks up where the last E.P game left off, except your on your own. After the walls of the HQ tower collapses, you are left to find, and destroy, the darkness that has followed your family for centuries. However, there is a hitch, after destroying another dark evil, you're still no closer to victory. Cross your fingers it isn't the last game for Echoes of the Past series. Rated 5 out of 5 by MSBAM100 from Wolf - Human - Healer! This is the 6th in the series but it doesn't matter because they don't seem to tie together except maybe with a witch, who is not yet visible in this game except as the commander of the warriors who attack you and your healer comrades. These stories are always clever, with interesting premises. In this case, you are a healer who is helping young Mira rescue her father Sirius, another healer. Healers can alternate between humans and wolves, assuming they have the crystal in the bracelet that allows them to do this. So you spend some time finding your crystal, or finding a second crystal after you break your first one! What makes this game fun are the HOPs, which are mainly find an item and place it in a book. Or find where an item goes into a vignette that explains the history of the healers and Mira. The mini-puzzles are interesting -- as a wolf, you sniff out the rat, then match the rats to find your gem so you can become human again. You get to make a complex potion to save an injured wolf, who helps Mira then turns against you right as the demo ends. You then get to preview scenes from the rest of the game -- looks pretty exciting! There are 10 achievements to earn -- not your typical time vs hint ones. They include things like Potion Master, True Wolf, Fearless. You get to collect 32 glass bubbles that make up 4 planets. The map is teleporting, with objectives marked. This is a very satisfying gaming experience. Try it and see!